Describe his personality in high school. Was there anything in particular that distinguished him from the rest of the team? John, who we nicknamed Buck, was a dependable, quiet big man but he did have an edge. At a tournament in ’97 someone put shaving cream in his sneaks and he became angry. 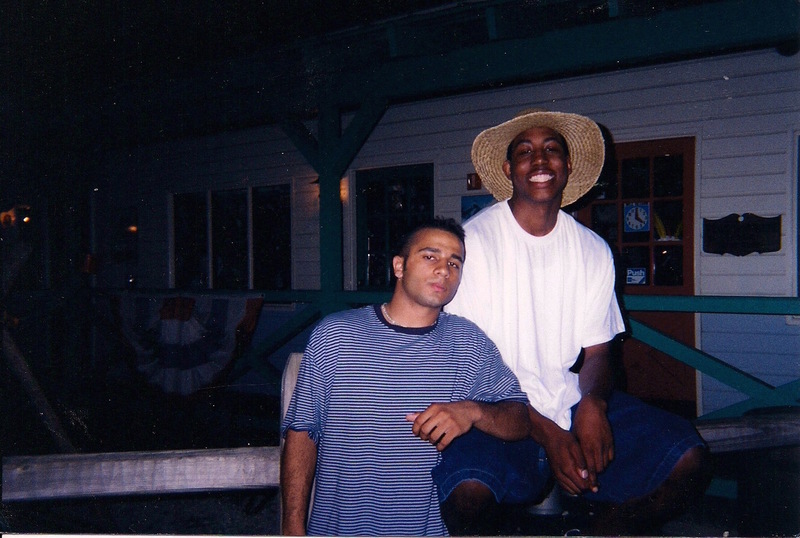 He never lost his cool on the court though, he was a cool customer, putting up big numbers his junior and senior year. I think since he was a passing big man he really helped our team be versatile, and he had good low post moves. His best skill was defense and he was known as a stopper. We hoped he would make the McDonald’s All American team; I think he was honorable mention selection. But he was first team all-state senior year and one of the top 100 recruits. We knew he would be good in college. Could you tell that he would be an NBA player one day? The competition we played against in high school included NBA stars Richard Hamilton, Kobe, Rasheed Wallace, Al Harrington, Rasual Butler, these guys you knew were going to be stars in college. I guess after we won the state championship our junior year, I knew John had a chance at the league. He was tall, athletic and could pass the ball. I remember when he announced he was going to Miami, we were all excited he would be in the Big East playing against Villanova and Syracuse. That’s where he really developed as a star. What was it like playing with him in high school? Would he dominate the competition? Our team was 89-9 in three years of varsity ball, we would beat teams handily. We beat one team 100-34 (I hit a 3 pointer at the buzzer that game). We dominated our league and only were tested in Districts and States. John was always at practice working hard and we knew with him we would be in every game. He averaged about 18ppg his senior year but he did also everything else. We were a state basketball powerhouse and reached a number 9 ranking nationally in USA Today. It was just a lot of fun playing with such good competition and our coach Al Angelos made sure we put school first. John was very solid, he always had double doubles and went on to score 1000 points in his career. Our team was so good, and he was our star. Did your team ever play against other future NBA players? 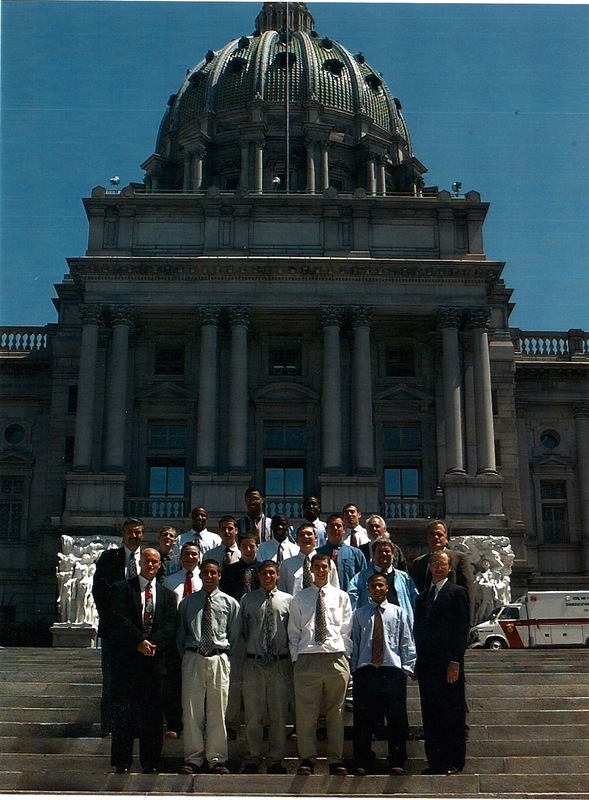 PA was a hotbed for basketball in the late 90’s. I remember when I was a freshman, Kobe played against our team and guys like Rasheed Wallace and Richard Hamilton were getting a lot of press. We played against Richard Hamilton in ’96, we played against Al Harrington in ’98 (they snapped our 30 or so game win streak). We played in the Slam Dunk to the Beach tournament and some of the players there were Shane Battier and Tyson Chandler. What kind of player was Salmons? Would he pass the ball? Would he get very passionate a-la Draymond Green? Salmons was the all-around player, he could score rebound pass and defend. Our team out hustled our opponents and our coach rewarded guys like me who hustled. When the game was on the line we looked to John and he was a force, could score on anyone. We also had a 6’10 center named Gene Shipley who played in the NBDL so at times, we were unstoppable. What is like watching someone you grew up with play in the NBA? 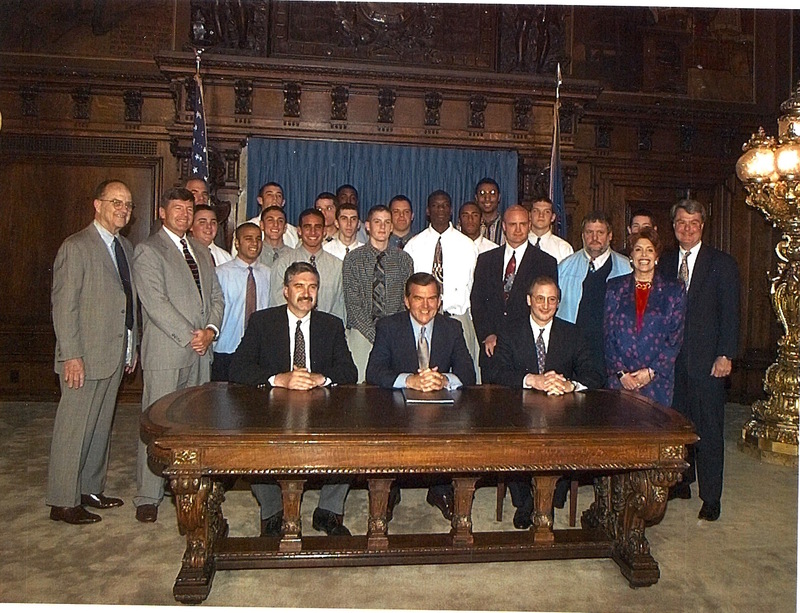 It’s very exciting, it is a great story to share and I followed John closely when he was with the Sixers. My coach invited me to a Sixers game to watch John, but I was busy at the time. I always followed his stats throughout his career and loved watching his games. Whenever he would score I felt extra proud, because I knew our team helped him get to where he was. Our paths reunited last November, when we honored our High School coach Al Angelos induction into the Montgomery County coach’s hall of fame. That was the first time I saw John in years. Do you still keep in contact with him? If so, is he still the same guy he was back then? A few months back John sent me a LinkedIn invite. I still talk to some of the guys on the team and coaches. John and I caught up at the reunion and he said he would meet up with me some time in NYC. He is still the same guy, humble and honest. I know he will be fine and we will catch up again soon. Have you had the chance to play with him since he went pro? If so, what was it like – did he get much better? I haven’t played much ball since college, I still have a handle but my best days are behind me. I play in a pick up league and show sparks of greatness every now and then. John was always a dominating small forward and we watched him develop into an NBA star. He had one playoff run when he was with the bulls where he averaged 20 a game. What is your favorite John Salmons moment from high school? On our journey to winning the state championship in ’97, we played in the “Miracle at Chambersburg.” Our star player at the time, Chuck Moore (John’s cousin and another first team all-state) fouled out of the game and we were down 1 with 2 seconds in the state quarterfinals. We put in this big football player guy named Kevin Gall who didn’t play much, to inbound the ball full court. He threw a perfect pass, and our sophomore star Billy Guess saved the ball from going out of bounds, and John grabbed it and put it in the bucket to seal the win at the buzzer. There was so much drama, it was the momentum that carried us to our school’s first state championship in 30 years. Do you have any photos of the two of you to share? I’m in front wearing the blue shirt and red tie. Salmons is in the very last row, 3rd to the left. Again, I’m in the front with the blue shirt and red tie. Salmons is in the very back, 2nd from the right. Me and John Salmons hanging out. Did you have college or NBA scouts coming to your games? When Kobe played in our gym my freshman year, Fran Dunphy, Mike Kryzewski, John Chaney and you name it were there. There were always scouts as we had 4 or 5 D1 players on our team. One special moment was when Roy Williams was recruiting John to Kansas at the time, and watched us play for practice. So in a way, I played for Roy Williams! Thank you so much for the insight, Nishu! Really appreciate you taking the time. Great stuff. *If you have more questions you would like to ask Nishu, please email them to us at info@ballandone.com with subject line “Question on John Salmons” and we will pass along to Nishu and add it to our list.